You remember my slow cooker turkey broth, right? Well, when I moved apartments a few weeks ago, I brought it all with me but now I have to figure out what to actually do with it. To be honest, I came up with this recipe pretty randomly. I had the turkey broth, the leftover turkey and then I saw the Ranchero beans in the store and couldn’t help myself. The topping on the cherry? Kale, obviously. Because that’s how I roll. My favorite part of making dishes in the slow cooker? The set-it-and-forget-it function, of course! 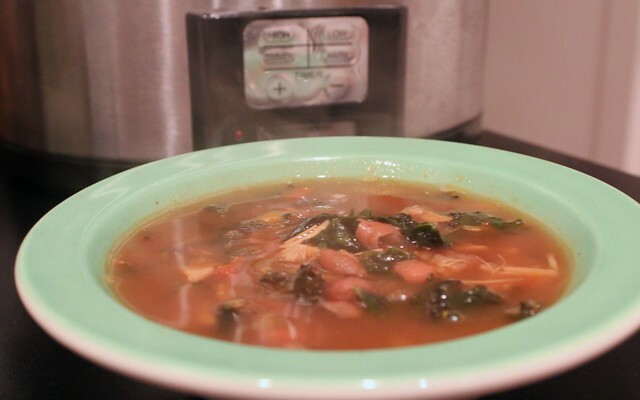 Although this soup takes a bit of extra work, when adding the kale at the end, you could probably get away with just having the bean and turkey soup. Isn’t purple kale gorgeous? 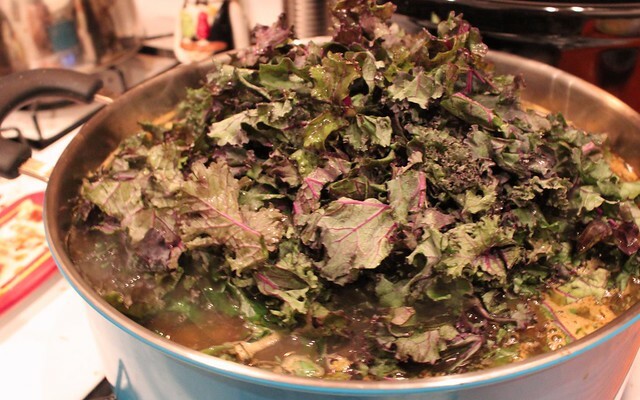 You don’t actually have to use purple kale, of course. Any kind of kale that you love would work but I’m particularly in love with purple kale for things like soups and stews. Don’t ask me why, I just am. 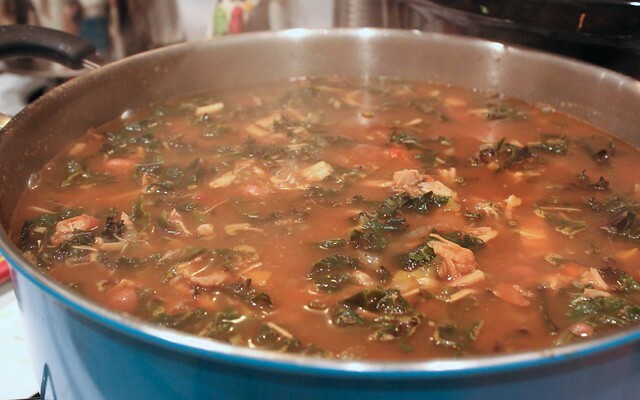 Oh man, if you could be in my house right now… the smells coming from my kitchen are making me pretty gaga over soup. I’m not going to lie, but I have a serious soup addiction. This one might be at the top of the list, though. I don’t quite know if it’s the leftover turkey from Thanksgiving or the Ranchero beans or the purple kale that make it special, but this soup is definitely very special. You’ll have to trust me on this one. The spice in this slow cooker soup is very hearty, and you can easily substitute other flavors (like Spanish paprika). It's easy to make with those frozen turkey leftovers in your freezer. You can alter the recipe and use chicken or, if you can't find Ranchero beans, simply add a bit more chili powder and a can of chopped tomatoes to balance the soup and give it a Ranchero-esque flavor. In a slow cooker, put in sofrito, turkey, jalapeño, Ranchero beans and turkey broth. Set it to cook for 8 hours on Low. 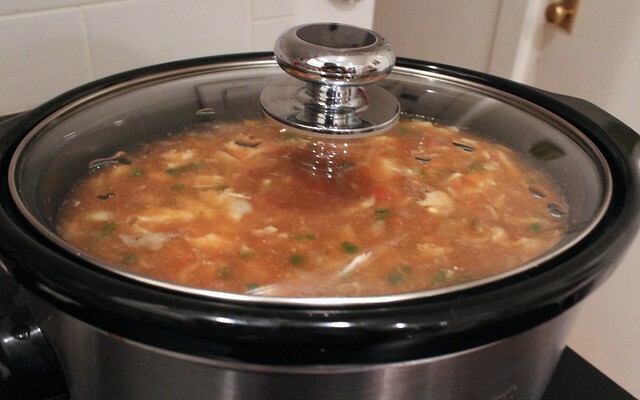 Once the soup is done, transfer the slow cooker soup to a large pot. Add in 4 cups of water and the chili powder, then bring to a boil (about 15 minutes). Lower the heat and add in the chopped kale. Simmer until the kale it cooked through, about another 45 minutes. Once done, serve hot! Makes about eight 1½ cup servings. 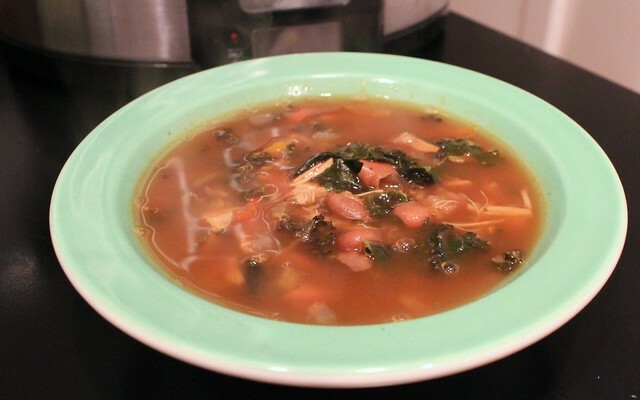 Have you ever tried making a slow cooker soup with turkey and kale? This entry was posted in Gluten-Free, Mexican, Poultry, Slow Cooker, Soups & Stews, Spicy and tagged beans, kale, slow cooker, soup, turkey by Irina Gonzalez. Bookmark the permalink.